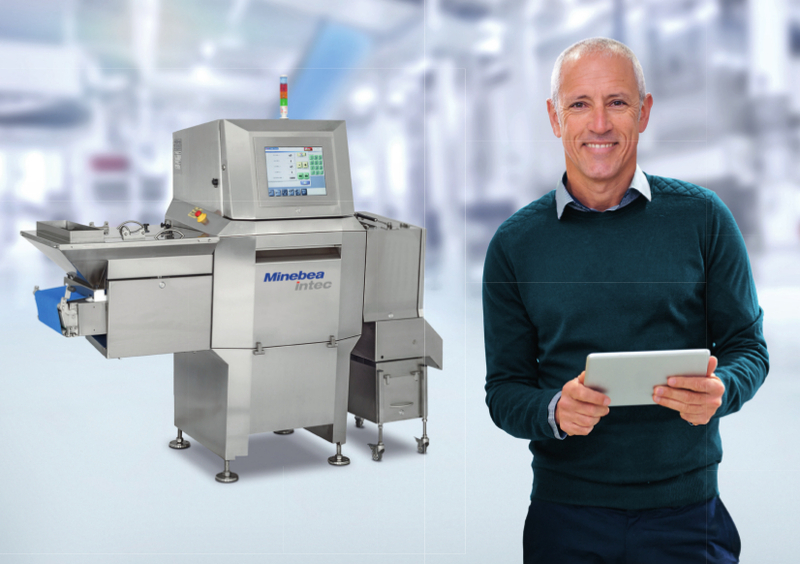 Minebea Intec expands its foreign body detection product range with the new X-ray inspection system Dymond Bulk. The system inspects bulk goods like nuts, small fruits, frozen vegetables, and also spices, coffee and seeds, and eliminates any foreign bodies. The X-ray inspection system not only identifies foreign bodies made from metal, plastic and stone, but also bits of dirt and glass, Which has obvious benefits for all goods that are introduced into the production process “straight from the field”. The ‘sorting and cleaning’ stage for raw materials is by no means error-free. For this reason, the X-ray inspection system can make a significant difference here, increasing safety and quality parameters even before the refinement process. Dymond Bulk stands out because it is so user-friendly. The technical characteristics are: X-ray power 70/80 kV -1.2/2 mA; detector resolution 0.8 or 0.4 mm; belt speed range 10/49 m/min (with standard drum motor) and up to 73/70 m/min; user interface 15” touch-screen; radiation protection FDA CFR 21 Part 1020.40; international protection class IP34 as standard, IP65 with Nema4X air conditioner, IP69K on request; high conveyor belt 800/999 mm.